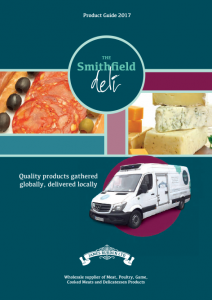 Our exciting new venture, The Smithfield Deli, is rapidly establishing itself as the go-to destination for all the very best in delicatessen provisions. 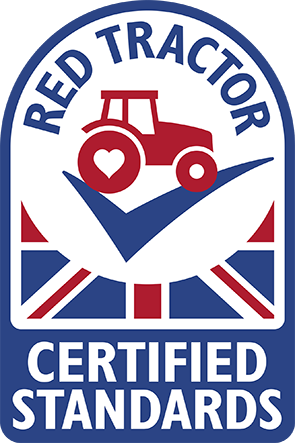 We offer an innovative and varied range of products, sourced globally, priced competitively and ready for next day delivery to your door. Take a look at our newly published 2017 Product Guide, available in either hard copy or to view and download from our website (here). Our modern fleet of refrigerated vans is ready to conveniently deliver your order anywhere in the greater London area and beyond, Monday to Friday inclusive, and is free for orders over £75. Don’t worry if you cannot find what you want in the Product Guide, give our friendly telesales team a call on 0330 156 716 and they will be more than happy to help – we look forward to hearing from you soon!